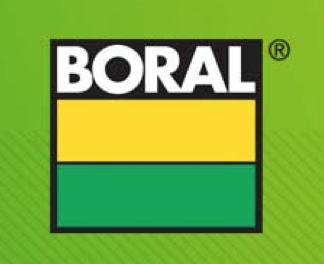 Boral’s Chief Executive Mike Kane has warned that his company may have to close its plants in Australia within the next ten years due to annual energy price increases of 20% in NSW. “You have natural gas costs rising at 20%. How long can you keep on doing that before you end up shutting the doors? I’m not saying anything different to most manufacturers in Australia,” said Mr Kane at the Macquarie Conference in Sydney on Wednesday, raising serious concerns over the future of 8 of Boral’s domestic plants and the future of at least 1000 employees at the company. “Unless the natural gas issue is solved for the eastern states of Australia, I think manufacturing has got a used-by date on it. I just don’t expect it to get better soon. I think all fixed-plant manufacturers in Australia are challenged, challenged by the same things,” Mr Kane said. According to the article on the Australian, Mr Kane said that the recent decision by car makers Holden, Ford and Toyota to cease manufacturing in the country were the best indicators that Australia’s manufacturing sector was headed in the wrong direction. He said South Australia and Victoria will be the most affected by the gas hikes on the long run because of their manufacturing-oriented economies. Mr Kane was appointed Chief Executive of Boral in 2012 and immediately took to implementing a turnaround strategy and series of painful reforms to address the company’s viability issues including slashing more than 1000 jobs, selling off non-profitable divisions, wading deeper in the lucrative Asian plasterboard market and attempting to merge its local brick operations with competitors such as CSR.